IER provides economic evaluations within two main frameworks. IER has conducted economic impact assessments throughout Australia, New Zealand and North America and has a thorough understanding of the prevailing methodologies preferred. This is critical given the lack of consistency that exists across State, National and International boundaries in relation to the methodology required to undertake these assessments. With approaches and methodologies changing frequently, IER puts a high priority in keeping up to date with the prevailing methodologies in each jurisdiction. In comparison to economic impact assessments, the measurement of social impacts is in its infancy with much less time having been devoted to the establishment of measurement tools. IER has worked with a number of clients in determining the extent to which they are generating social impacts. 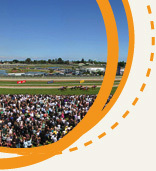 The most recent social impact assessments completed by IER include the following clients: - New Zealand Racing Board, South Australian Racing Industry, Racing and Wagering WA, Australian Racing Board.